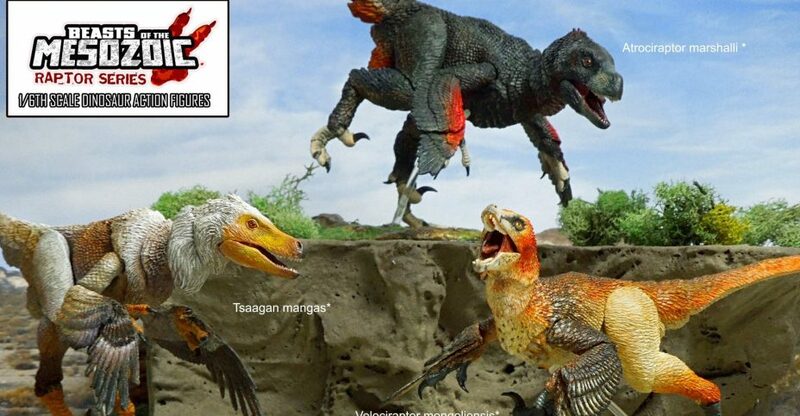 Stretch goal raptor figures are $35 for US backers or $37 for international backers (no additional shipping is required when adding to a raptor figure pledge tier) and can be an added on to your existing pledge. #2- Balaur bondoc – $145,000.00- unlocked!! #4- Dromaeosaurus albertensis – $165,000.00- unlocked!! #5- Acheroraptor temertyorum – $175,000.00- unlocked!! #11- Wetlands Accessory Pack- featuring 6″ Buitreraptor g.- unlocked at $265,000- unlocked!! #12- Desert Accessory Pack- featuring 6″ Mononykus o.- unlocked at $275,000- unlocked!! #13- Forest Accessory Pack- featuring 6″ Microraptor g.- unlocked at $285,000- unlocked!! So, head on over to check out concept art and prototypes for the unlocked items, and support this project for some real life dino love on your shelves! 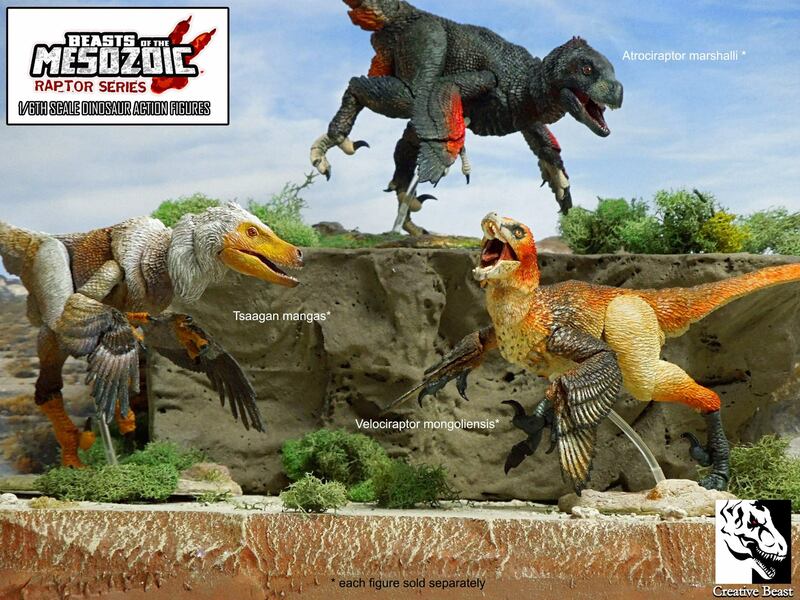 Beasts of the Mesozoic is a line of scientifically accurate, highly detailed, and articulated dinosaur action figures. Being a serious toy collector myself, I’ve seen great advancements in the toy market the past several years with innovative companies raising the bar of what’s possible with detail, articulation, and value. However, despite my love for dinosaurs and for toys, my dinosaur toy shelf is surprisingly small compared to the other collections I have. Why? Well they simply haven’t changed much at all in the past several decades and honestly aren’t that good compared to other action figures. It just doesn’t seem like you get much for your money. I for one am ready for some good dinosaur toys worthy of my shelf space and my money, aren’t you?